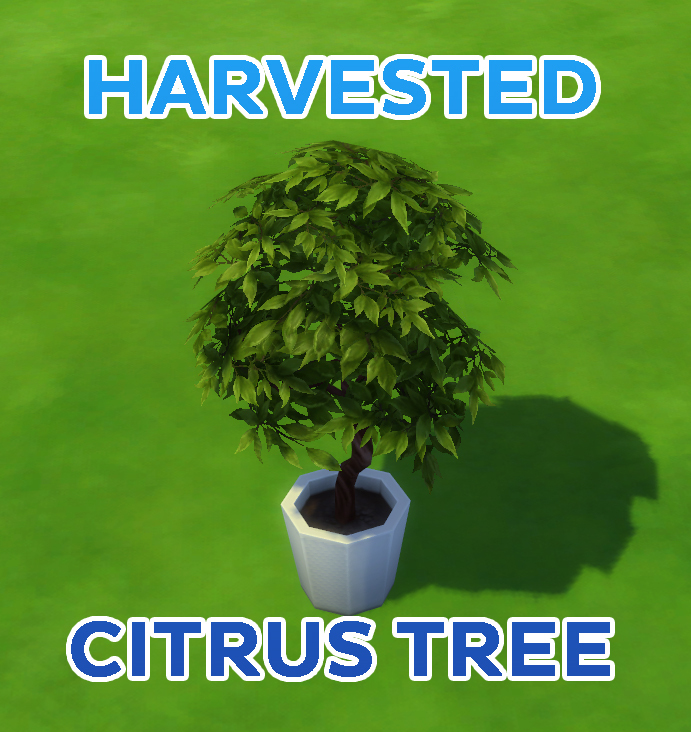 Mod The Sims - Harvested Citrus Tree! The Lunar New Year update gave us a brand new, beautiful plant. Unfortunately it's cluttered with decorative fruit and envelopes which can limit its usage. So I made a small little edit for it, which simply removes all the fruit and the envelopes hanging from it, making it usable in more places. It contains all the original swatches. There are 2 different versions available for download. 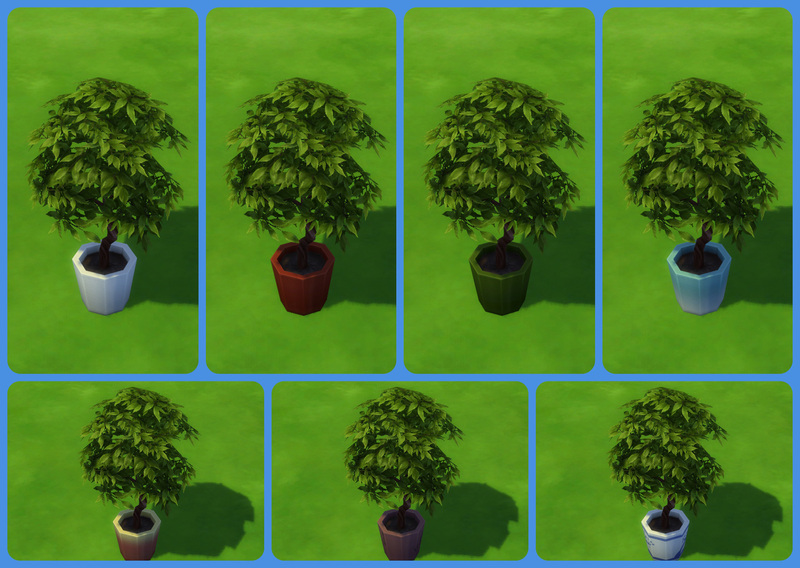 The standalone recolor, includes a brand new item so you can have the plants separated. This is all, just a small little mod until my next pack gets released very very soon! Citrus_no_fruit_override.rar | Description: This is an override. 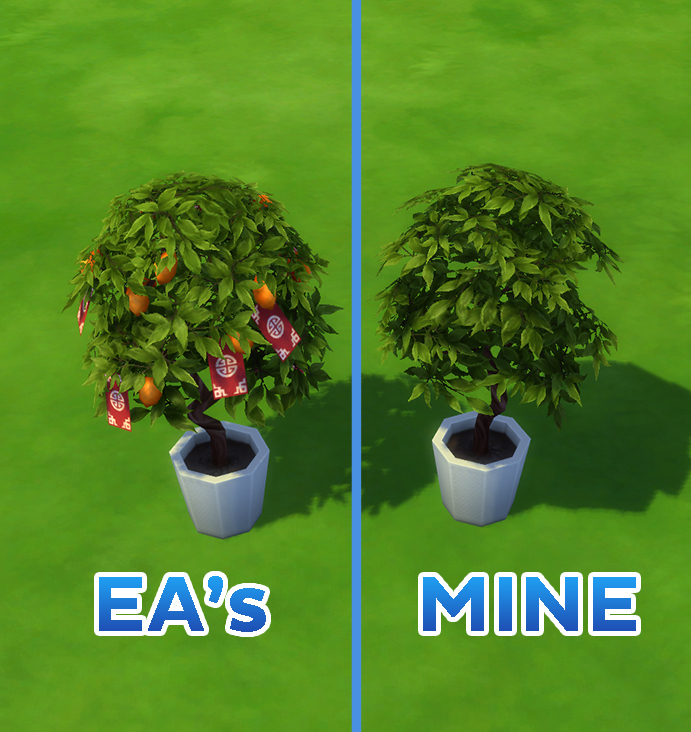 It will add the additional recolors in the plant found already in the game. Citrus_no_fruit_standalone.rar | Description: This is a standalone recolor. It will create a brand new separate entry in the catalog for the harvested plant.